In times like these, it’s the little things that bring us joy. A slice of pizza after reading 47 stories about sexual harassment, a hunk of Brie as you read about our infantile president trying to take land away from the Native Americans. When life gives you lemons, eat cheese. Here’s what’s happening on the cheese front today. In Los Angeles, a place called Little Fluffy Head Cafe is serving up a beverage that’s been popular in Asia for the past few years. Owner Jenny Zheng says she was on her way to getting a Master’s Degree in bioengineering when she traveled to Asia and tried cheese tea, which has been popular with millennials in China, Malaysia and Taiwan. We know cheese isn’t going to make us thinner, but it makes us happy and that’s what really matters. Also: a small amount of the creamy deliciousness is actually good for us. 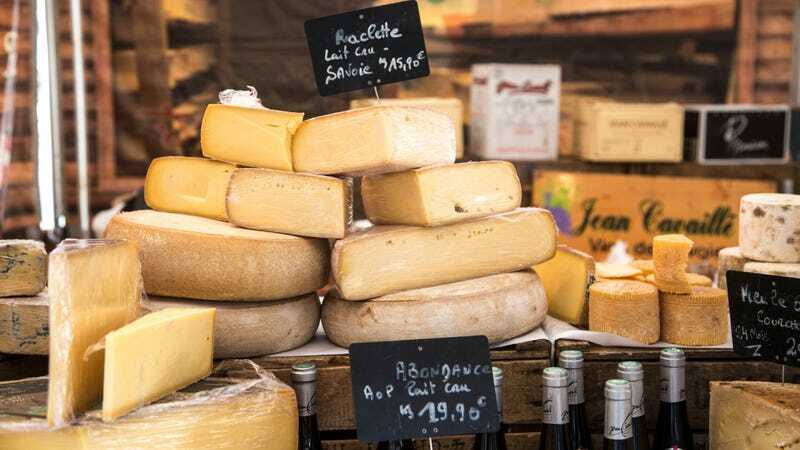 Grub Street, citing a new paper in the European Journal of Nutrition, reports that 40 grams of cheese per day (which is unfortunately the size of a matchbox) could reduce your risk of heart disease or stroke. Whatever, I’m making grilled cheese for lunch. Business Insider reports that Chipotle has “tweaked” its queso recipe to make it taste less like “dumpster juice” and more like actual, edible cheese. You can order nachos at Chipotle as part of its secret menu, which you can explore further here. Jen Sabella is Managing Editor of The Takeout. She loves: fried chicken, mezcal, cats and stalking celesbians on Instagram.